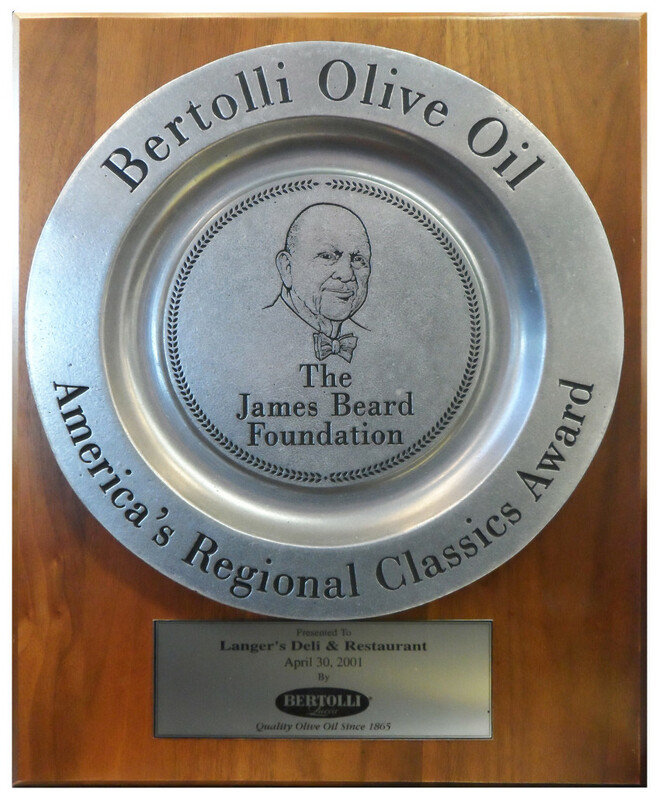 Langers is the proud recipient of the coveted James Beard Foundation award. The award is presented each year to a select few restaurants noted for timeless appeal, beloved for quality food that reflects the history and character of their communities. The establishment must have been in existence for at least 10 years and be locally owned and operated. Langer’s Restaurant is proud and grateful for the James Beard Foundation’s acknowledgement of its role in Los Angeles restaurant history. You may learn more about our award here and here at the James Beard Foundation. When you visit us, please make sure you inspect our award, which hangs just behind the register at the hostess station.